Description: Park Side Trailers has in stock available for immediate delivery a 2014 Adam 743. This model is a small trailer for BIG horses. If you have a lighter tow vehicle but need a trailer to accommodate a warm blood, draft cross, etc. this trailer is for you. 7'6" tall, 6'6" wide, 7'stall & 4'for head and neck gives you 11'for your horse. Tack storage on each side with bridle racks and lights in tack area. 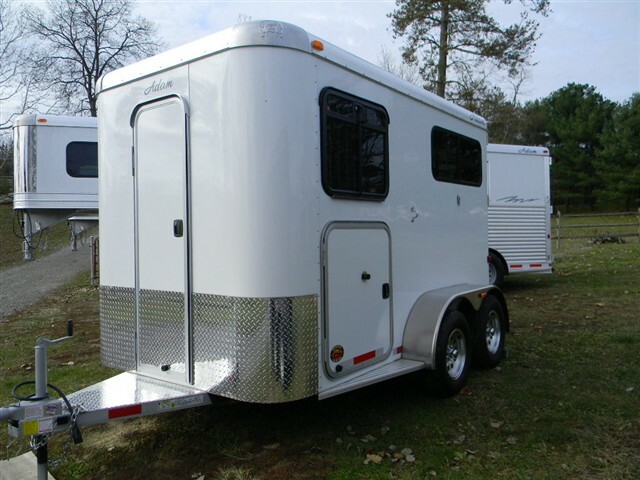 For more information or to purchase this trailer, please contact Rhonda (330) 692-0374.